Northrop Grumman Corporation (NYSE: NOC) will highlight a full range of solutions aimed at providing integrated, mission-critical capabilities during the Army Aviation Association of America (AAAA) Mission Solutions Summit. The event will be held April 14-16 at the Gaylord Opryland Hotel and Convention Center in Nashville. In booth #910, Northrop Grumman will feature technologies, products and services to deliver warfighter advantages in multi-domain operations. The exhibit will spotlight mission-oriented enhancements that help preserve command, control, communications, computers, intelligence, surveillance and reconnaissance dominance; expand mission capabilities; and create tomorrow’s solutions for today’s Army aviation force. Northrop Grumman is showcasing the digital helicopter cockpit, which is derived from the U.S. Army’s UH-60V Black Hawk program, and integrated avionics solutions. 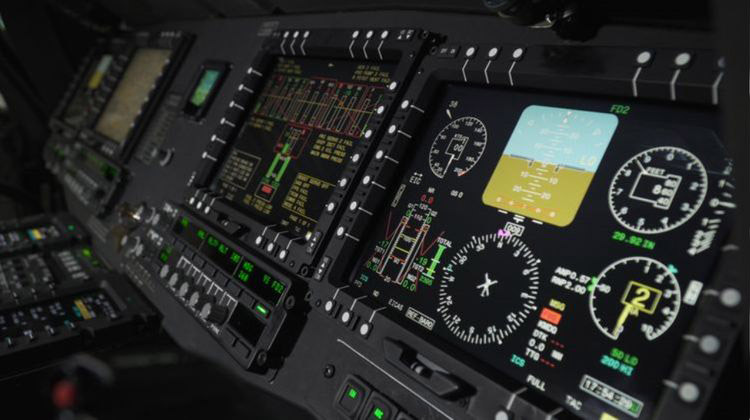 The scalable, open architecture-based cockpit design can be applied to many platforms to provide an affordable, digital, integrated suite of avionics equipment. The Common Infrared Countermeasures (CIRCM) is designed specifically to protect rotary wing and medium fixed wing aircraft from infrared missiles. The system is built on open architecture to work with existing hardware, simplify upgrades and keep lifecycle costs low. The Longbow Fire Control Radar provides Apache aircrews with automatic target detection, location, classification and prioritization, while enabling rapid, multi-target engagement in all weather conditions, over multiple terrains and through battlefield obscurants. Northrop Grumman will highlight some of its armament systems, including the M230LF Bushmaster® Chain Guns integrated on all U.S. Army Apache Attack helicopters. The Chain Guns are reliable, effective, and have battle proven capability over all combat weapons platforms. Hatchet, a miniature precision guide weapon and joint effort of Department of Defense and Northrop Grumman, will also be featured. The six-pound precision munition is designed with a lethal warhead that provides greater effectiveness and limits the chances of collateral damage. Hatchet is optimized for load out on unmanned aerial systems and fixed-wing aircraft. The company will also display its Assured Position, Navigation and Timing (A-PNT) capabilities, including the U.S. Air Force’s Embedded GPS/INS-Modernization program (EGI-M). The open-systems architecture of EGI-M incorporates a military code GPS receiver that adds robustness to interference of GPS signals. 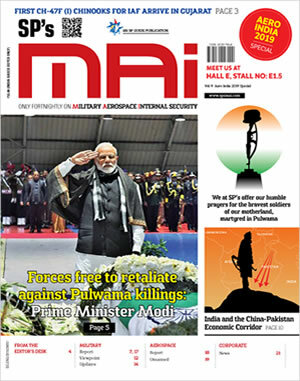 It also allows new Alt-Nav and resiliency capabilities to be quickly demonstrated and deployed, making the EGI-M a future A-PNT Hub for platforms.